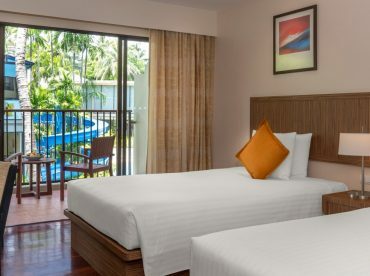 A standard room offers 32 sqm of space with all you need during your holidays at this Phuket Family Resort. Enjoy complimentary WiFi internet access and watch your favorite satellite channels on LCD TV. Coffee and tea-making facilities and a mini-fridge-bar stocked on request are available for you in the room. For additional flexibility, choose from one king or twin beds. Interconnecting rooms available. 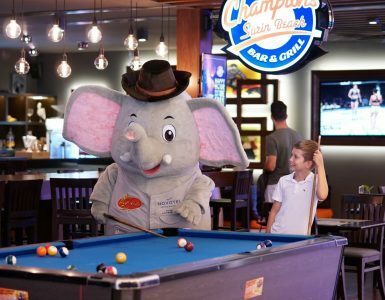 2 children under 16 stay for free while using existing bedding, and have complimentary breakfast if adults have breakfast.